Citation: C N Trueman "First Statute of Repeal"
The First Statute of Repeal was passed in the same year that Mary I succeeded to the throne. 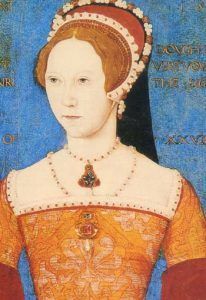 The Statute of Repeal had one simple purpose – to undo all the religious legislation brought in during the reign of Edward VI that had led to a Protestant Church of England. The statute restored the Church to what it had been in 1547 under the Act of Six Articles. It was passed by Parliament after lively but not angry debate. The statute was also discussed after the arrest and imprisonment of a number of leading Protestant clergy – men such as Cranmer, Hooper and Ridley. Mary had made it very clear the direction that she wanted the Church to take in her reign – back to Catholicism with deference to Papal authority. The arrest of Protestant leaders served as a warning to those who might have wanted to dispute the Queen’s wishes.